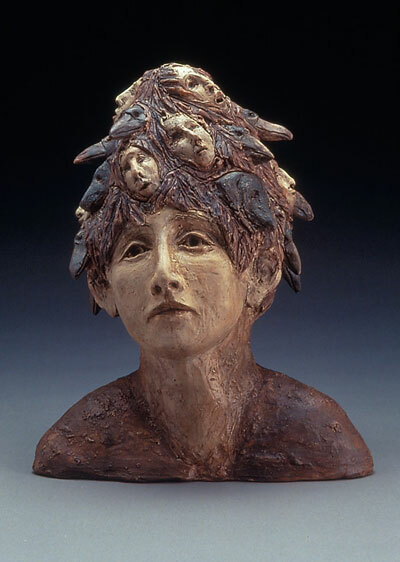 The figurative sculptures of ceramist Becky Gray provide a quiet place where one may reflect upon the narrative possibilities of the human condition. "The dichotomy within man mimics that of nature--full of beauty on one hand and destruction on the other," notes Gray. 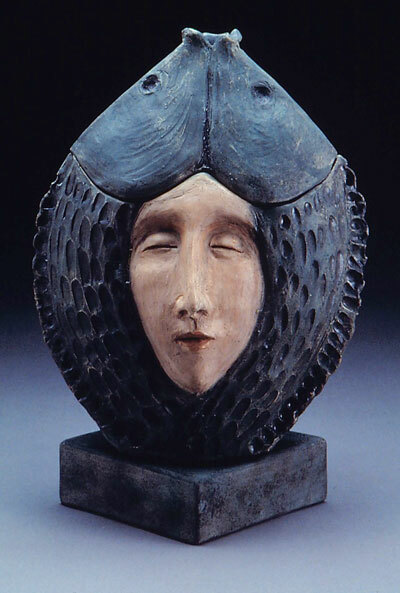 "In my work, however, I endeavor to convey the inherent goodness within mankind, whether quietly masked or direct." Gray's works are hand-built; she uses thrown forms, extrusions, coils, and slabs combined in different ways to create pieces that are suclptural and often ceremonial in nature. 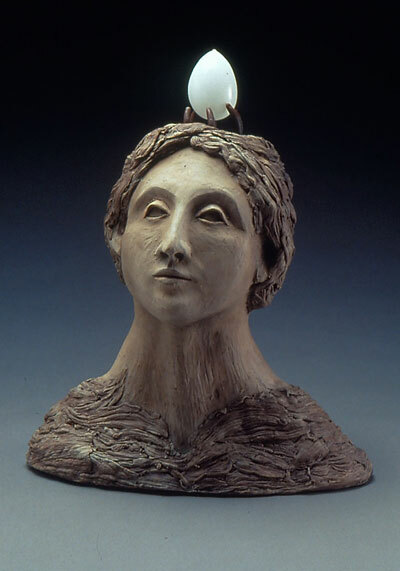 Her works are raku-fired with light reduction, generally sprayed with water and then put in to hardwood sawdust to cool. The result is an aged, often stone-like or metallic appearance.